Luxury Vinyl Tile is the new buzzword in flooring. 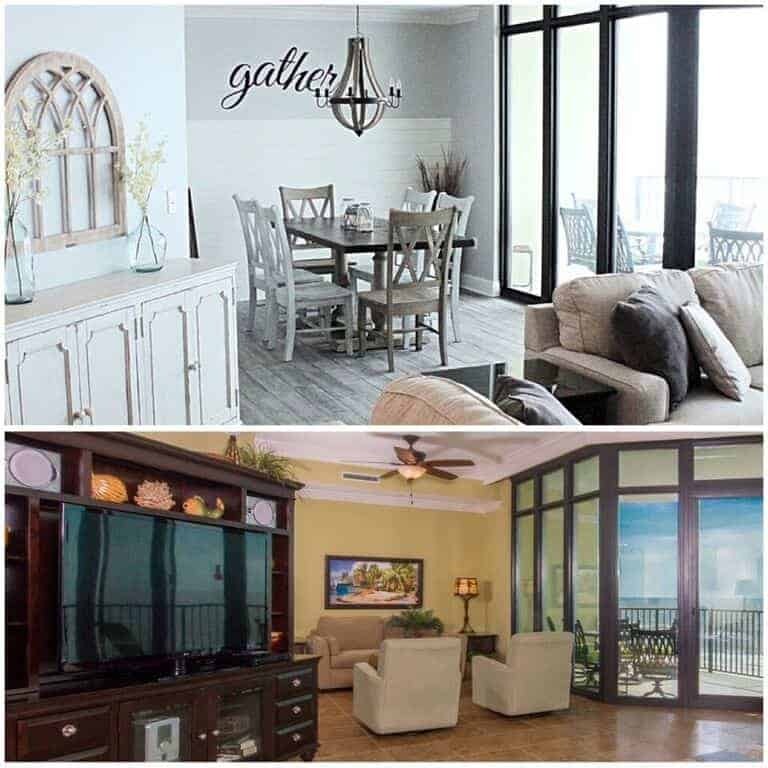 We were super excited when we moved to our rustic beach cottage that the entire home (minus a small bathroom) had it. Luxury vinyl tile (LVT) is supposed to be super durable and water proof. I’ve heard so many great things about this new vinyl flooring I couldn’t wait to try it out. 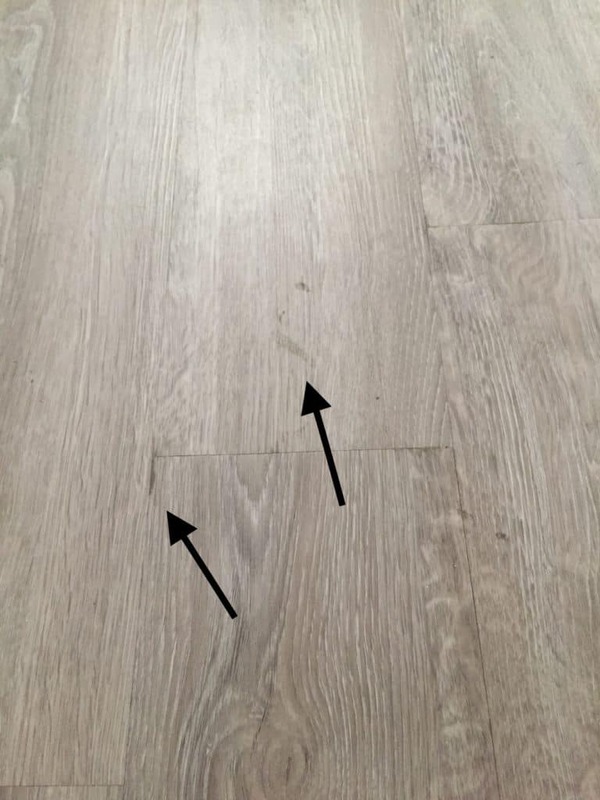 Since it’s been a few months since our move and all the “dust has settled,” I figured I would share all about my thoughts, frustrations, and recommendations about this new vinyl tile. Keep reading to find out the good, bad and ugly when it comes to Luxury Vinyl Tile. I would imagine that if you’re reading this that you are either considering purchasing Luxury Vinyl Tile or you already own it. I didn’t know a ton about it before we moved into our new home. My mother and father in law had the floating type of luxury tile put down and I LOVE their floor. It looks very similar to regular wood or laminate, but it’s a lot more durable and water proof. Unlike my in laws floors, our Luxury Vinyl Tile is the glue down type. 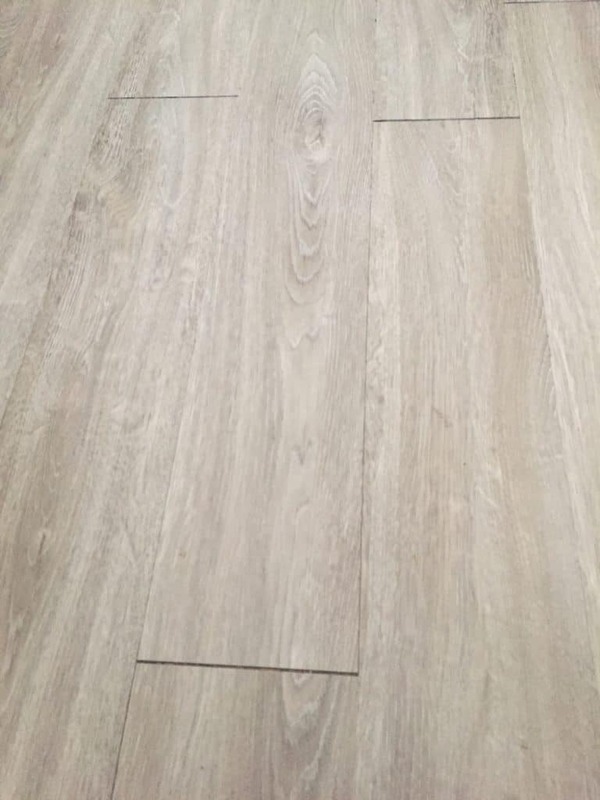 I figured our new vinyl tile would be very similar to theirs as far as looks and maintenance even though they were not installed the same way. 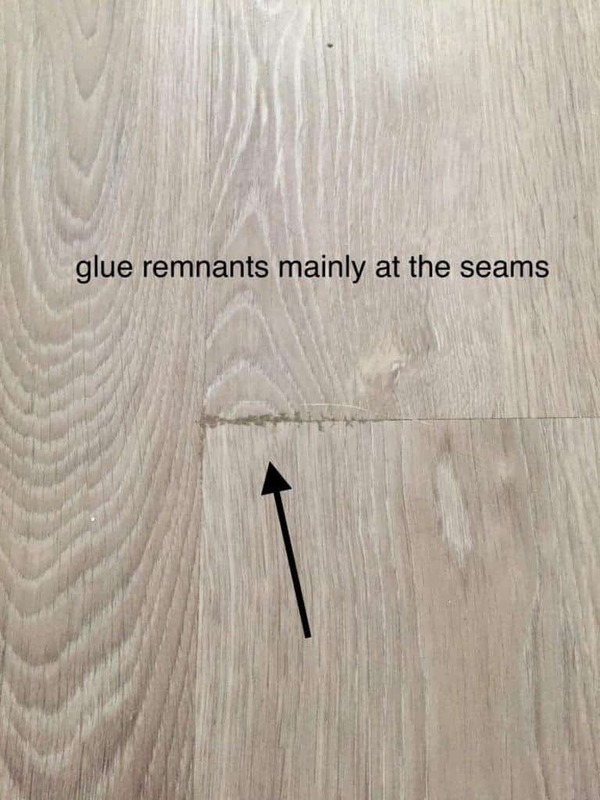 This is mostly true, but I want to share with you my thoughts and frustrations about the “glue down” LVT. The first thing I noticed was the “glue remnants” that were not properly wiped up during the installation process. This has been a frustration for me. We have over 2,200 square feet installed and there are glue remnants everywhere. As far as removing the glue remnants, I have been very unsuccessful so far. I’ve mopped and applied pressure to the “glue remnant” spots and I’ve still been unable to remove them. I’ve taken a Clorox wipe and scrubbed the area, which most of the time works, but it’s very labor intensive and not recommended by the manufacturer. Spoiler alert: I “stumbled” over a common household product that removes the old glue with little to NO effort. Come on over HERE and let me show you all about. Since cleaning products didn’t work for me, I decided to use a glue remover called Goo Gone. I’ve shared an affiliate link below. I’ve used this product and it works great, but when you are cleaning a very large area it’s rather labor intensive. You have to spray the area with the product, wipe up the residue and then use a cleaning product to remove the Goo Gone residue. I’ve considered adding a little Goo Gone to a mop bucket so I could cover a larger area in a shorter span of time. Has anyone tried this? Leave me a comment below if you have any ideas on this. Now that I’ve shared my frustrations with the glue residue from glue down luxury vinyl tile, let me share my second frustration. Those large gaps between the planks are an eye sore and a dust collector! As the weather changes and the LVT shrinks and expands, the gaps do the same! Unfortunately our entire bedroom looks like this. Could this have been prevented? According to the guy that laid the flooring, he installed it during the coldest winter months and as the weather changed so did the lengths of the planks. Could he have waited until the weather warmed and potentially prevented this problem? Yes, but tell a flooring contractor to stop working during the coldest months and see what he says……LOL. Long story short; Glue down LVT will always be subject to “gapping” from weather changes. Now let’s discuss the floating Luxury Vinyl Tile. 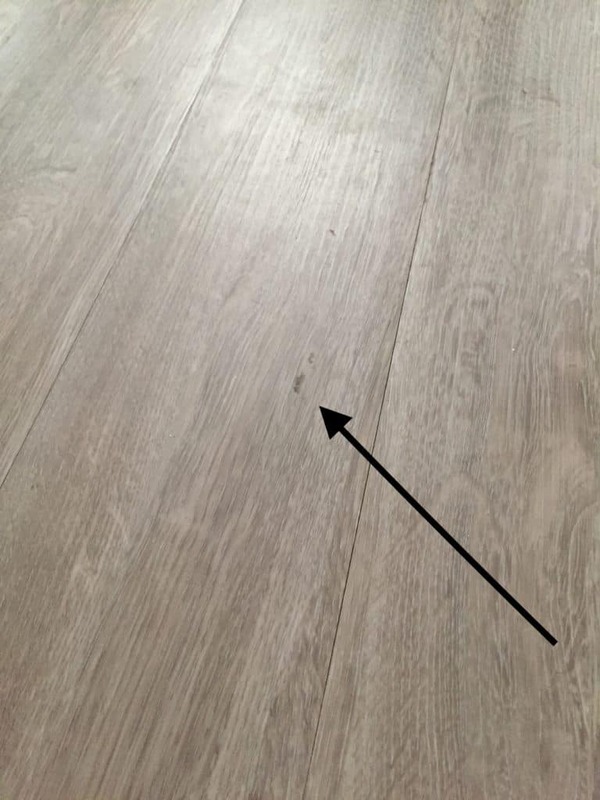 As far as I can tell, if you install the floating type of LVT you will not have to worry about glue remnants or the “gapping” issue that I’ve dealt with. My honest opinion so far is that I would choose the “loose lay” or floating Luxury vinyl flooring any day over the glue down in a residential environment. I know there are many reasons why some people would choose the glue down over the floating floor (I have read that it’s better in a commercial setting?) and I would highly suggest discussing this with a flooring professional before making a decision on which to buy. 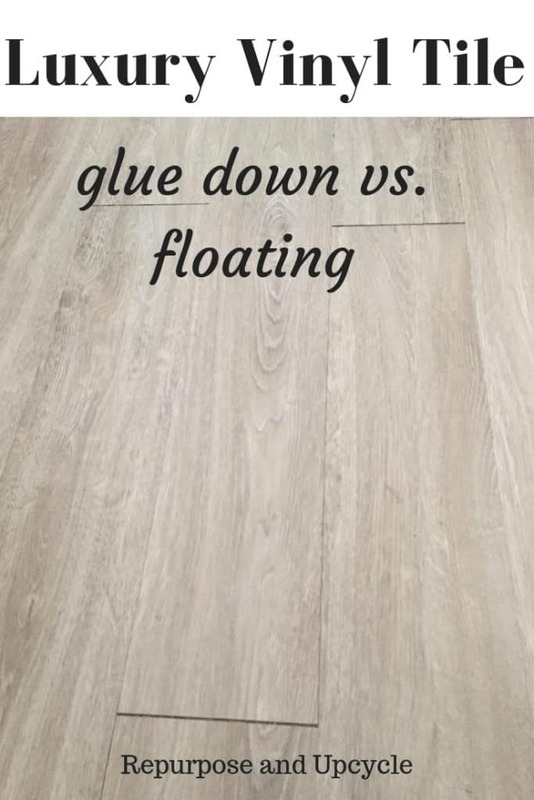 I hope my opinions on the subject of “LVT; glue down vs. floating” can shed some light on which to choose. Just because I prefer the floating LVT, doesn’t mean it’s the best product in every situation. Want to save this post for later? Click this link to save to Pinterest or save the image below. Thanks for letting me share my opinions and experiences with y’all. We put luxury vinyl tile in our master suite, however it was a self stick product. My husband and I did the work ourselves, and it was really rather easy. The sub floor was prepped, the tile planks put down, and we rented a heavy roller thing to mash it down. We did this 3-4 years ago and so far, no separations. The main reason we chose this product is because we thought it was the easiest, for a very nice look. Reading this, I am now sure we chose the right product. Thank you for sharing your experience. I’m glad you have had good results with your flooring! I’ll look into the self stick if I ever lay it myself. We got talked into vinyl tile and was told it lasts a “lifetime”! Wrong! Haven’t had it four years and it bubbled and peeled. Our tile was grouted like regular tile and the contractors did not clean this up well leaving clumps of grout on top of the tiles..it’s like cement. Does not come off easily. I will probably never do vinyl anything ever again because of this experience. my experience hasn’t been quite as bad as yours, but I agree, I don’t think I will do the LVT glue down again. Maybe the floating or just a different type of floor all together. Thanks for stopping by. Lindsey, I was wondering what kind of foundation or sub flooring that is under the LVT. This could make a difference in the shrinkage. Thanks for the info that you shared. I had mine put down, floating method. No problems-so far! Love it! Got an Eufy and Effie cleans very well. All I have to do is pick rugs up and let Effie get under them. Very pleased!!! Sorry you have had issues. I’m glad to hear that you love yours! This is just more confirmation that the floating LVT is the way to go! 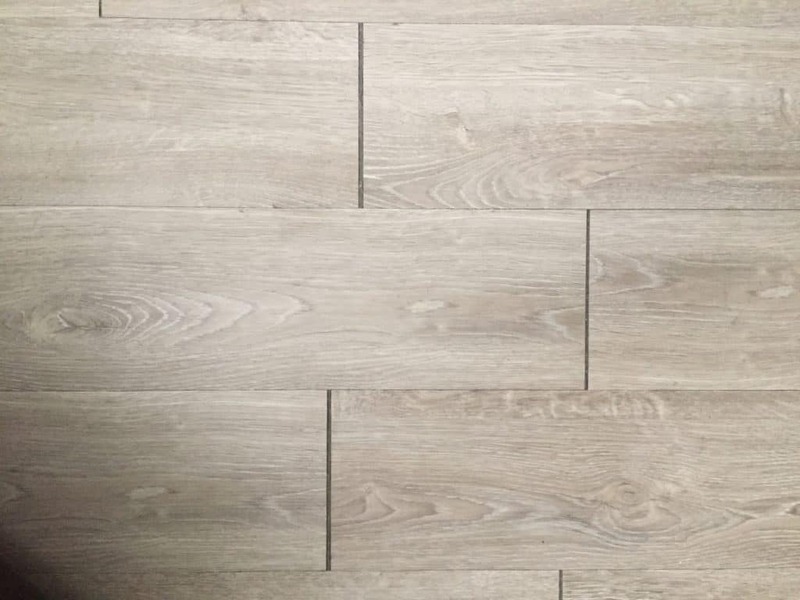 from where I can buy this flooring in Pakistan? I’m really not sure, I’m sorry! Very helpful. Thanks for the details. My only question is what are the temperature variations where the Vinyl planking is installed. Is the variation greater than 50 degrees to 90 degrees farenheit? That is a very good question. I know when they put ours down it was about 50 degrees. I’m not sure what it’s supposed to be, I need to look into that. Thanks for stopping by. I’m not sure if you are comparing the locking vs the peel and stick or the locking vs adhesive. I’m just looking into this product and I see that these 3 terms (locking, peel and stick, adhesive) are how this product is described. Hello. I install glue down vinyl sheets and tiles professionally and I’m sorry to hear that you had a poor experience. To remove glue you may want to try a little mineral spirits on a rag (never pour directly on the floor), and be cautious using products like goo gone.. they may wear the finish. Problems with gapping may be due to using the wrong adhesive or installation techniques which is common when the installer isn’t really a vinyl professional. Vinyl flooring is a specialty which requires many years to learn. The notion that gapping/shrinking occurred because installation was in winter months is backwards.. if anything, this could produce expansion and peaking when heat is introduced. This is really good to know! The previous owner was told BY the flooring guy that the gapping was due to cold weather, so clearly he had no clue what he was talking about. You live and learn right? Thanks for the info. I’ll try the mineral spirits!